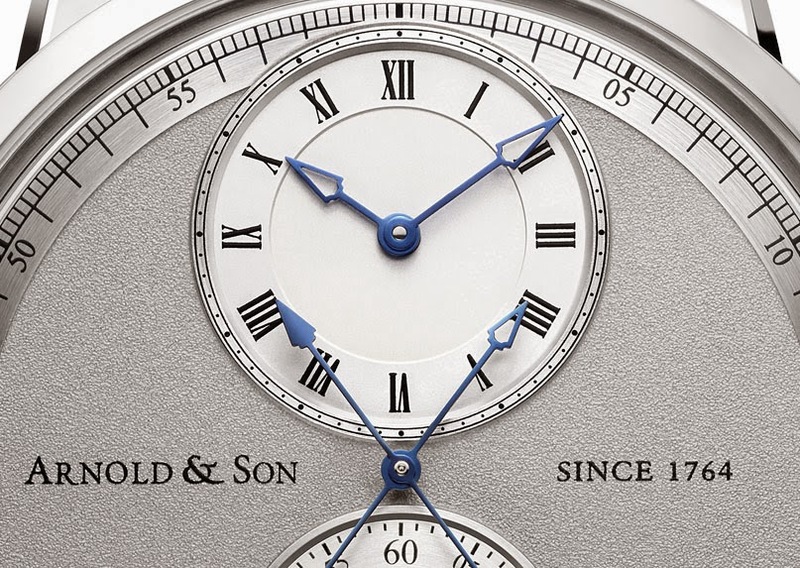 Arnold & Son unveiled the Instrument CTB, the first wristwatch to combine a central true beat seconds hand and a central chronograph seconds hand, a challenging solution that was awarded with two patents. Both hands are on the same axis but with different jumping intervals. In fact, while the chronograph seconds runs in a continuous way, the true beat seconds hand beats incrementally. Sometimes referred to as a dead beat seconds, the true beat seconds is a precision function which allows for more accurate reading. When the chronograph hand is started, it gives the impression that it can catch up to the true beat seconds hand, but this never happens since the true beat seconds hand jumps away each second. The 44 mm stainless steel case frames a multi-level grey and silvery opaline dial which features off-centered hour and minutes at 12 o’clock, big central true beat seconds and central chronographs seconds, and 60-minutes chronograph indicator at 6 o’clock. 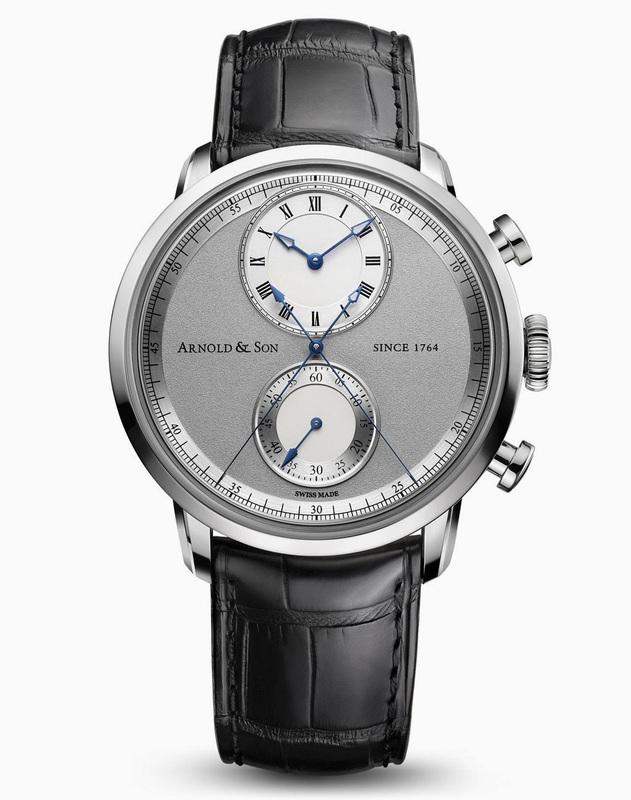 The A&S7103 calibre is a proprietary mechanical self-winding movement with column-wheel operated chronograph. Beating at 28,800 vibrations per hour, it offers more than 50 hours of power reserve. 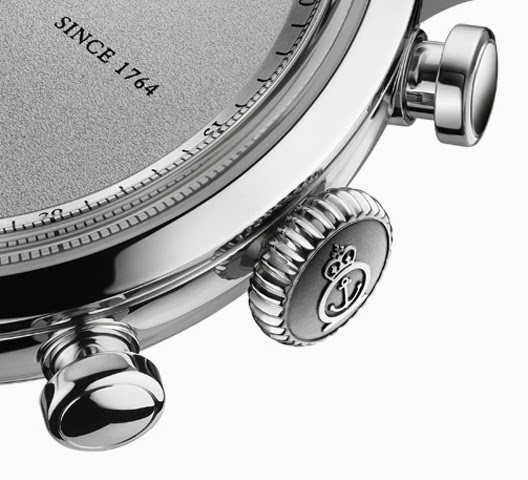 The movement is finished with hand-chamfered bridges with polished edges, fine circular graining and Côtes de Genève rayonnantes. The bi-directional rotor is skeletonised. The Arnold & Son Instrument CTB (ref. 1CHAS.S02A.C121S) can be matched to a hand-stitched black or brown alligator leather. 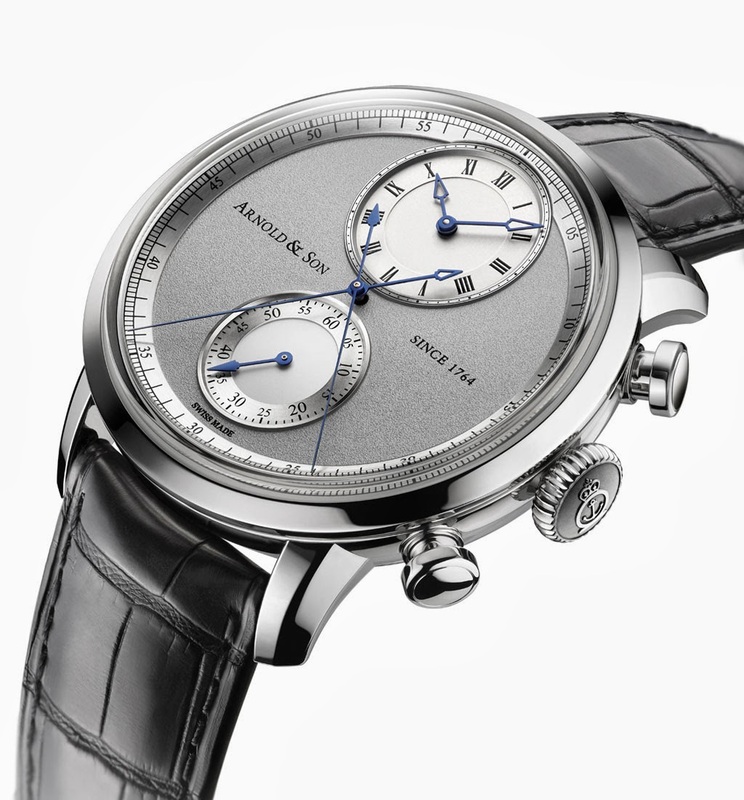 Arnold & Son unveiled the Instrument CTB (ref. 1CHAS.S02A.C121S), the first wristwatch to combine a central true beat seconds hand and a central chronograph seconds hand, a challenging solution that was awarded with two patents. Both hands are on the same axis but with different jumping intervals.